Moses doesn't get to see his mother anymore, but he can be certain that she loves him. 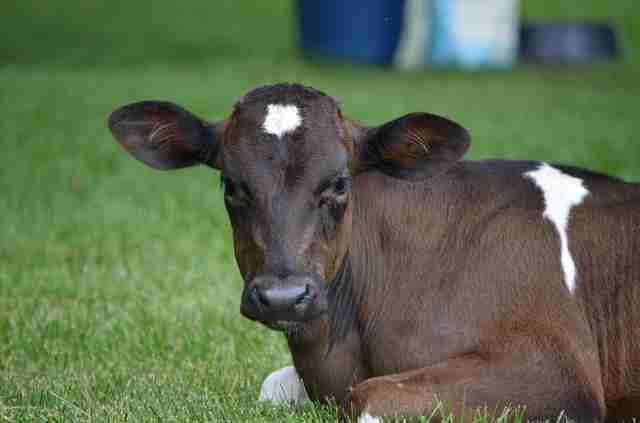 The 2-month-old calf was born on an Amish dairy farm in Pennsylvania. Once every week, the veal truck would stop by to load up the cows' babies and take them away to slaughter. Moses' mother had lost countless babies before, but she didn't want to lose this one. So when she saw the familiar truck making its way up the road, she hid her tiny calf to keep him safe from the farmer. It worked — but not for long. When the farmer found out, he was furious. The veal truck wouldn't be back for another week and he didn't want to go through the hassle of bottle-feeding the calf. He also wouldn't let Moses drink from his mom since he wanted to sell her milk. So he snatched the much-loved baby away from his doting mom and left him outside. All alone. Then Moses got his second lucky break. 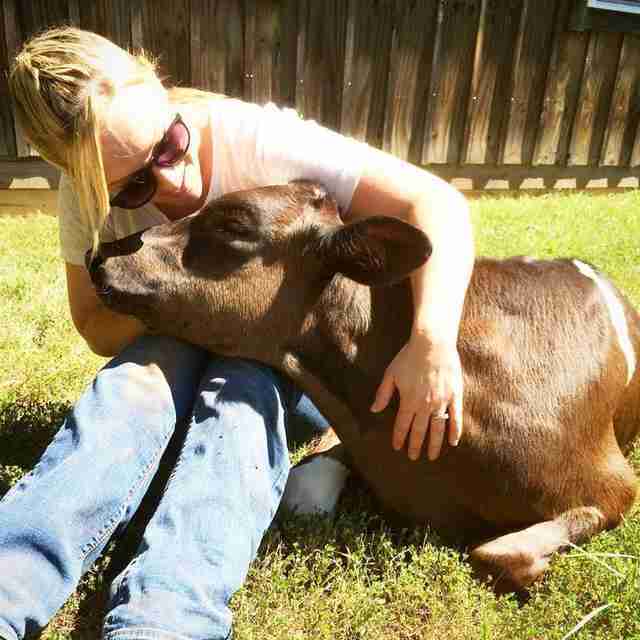 A kind woman walked by and, noticing the little calf, approached the farmer. When she heard his story, she asked the farmer if he was planning to feed the little calf - but the farmer just said nothing and turned away. The startled woman couldn't leave the little calf to his fate. She confronted the farmer and convinced him to let her take the little one away, bringing him to safety at Animal Rescue Inc., a cat and dog rescue. His rescuers decided to name him Moses because of his mother's love. Like the baby who was set in a river in a handbasket, Moses might not know his mother but he's a living testament to how much she cared. While some argue that hiding babies is just a natural instinct, cows are known for their strong maternal love. Veterinarian Holly Cheever documented a story from her early days of work on dairy farms about a cow who had lost many previous babies before giving birth to twins. Knowing that her farmer would expect only one baby, she brought one of the twins back to the farmer and kept the other one hidden in a field. When the farmer noticed her reduced milk production, he tracked her down, found the other baby and took him or her away too. Moses' mother is no different in her love for her calf and, last Thursday, all her hopes for him came true: Moses found his forever home at Poplar Spring Animal Sanctuary in Poolesville, Maryland, where he'll live out his days safe from harm. 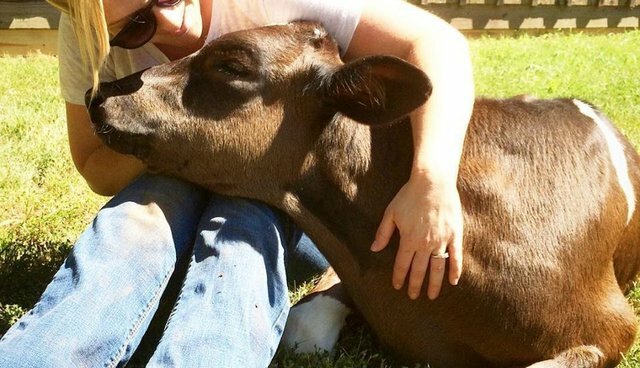 "He's a very sweet little cow," Terry Cummings, cofounder and director of the sanctuary, told The Dodo. "He's friendly ... he loves people and loves to lick them." She added that he's adjusting well and has already met some of the sanctuary's other cows over the fences — once he's a bit older he'll be able to join the rest of the herd. He's made friends with a sheep named Andy and loves to run and play. Sadly, Moses' mother will never know what happened to her lost little baby. But her daring act of love paid off — and made a world of difference to her gentle calf. 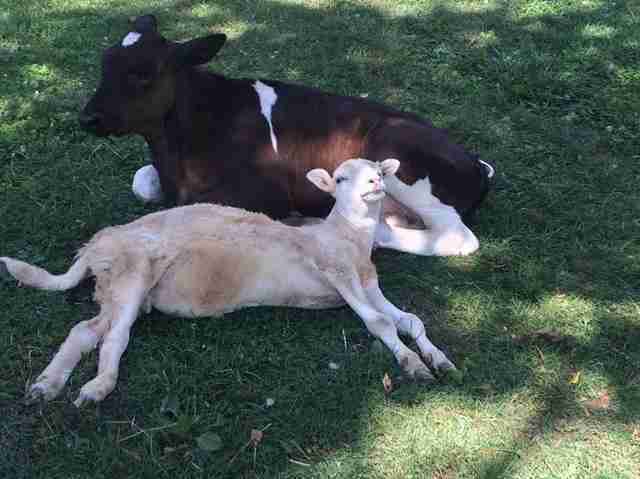 For more stories about the wonderful maternal love of cows, click here and here.